We are currently working on a reprint! Give us your info and we'll send you one email when this product is back in stock in Late May! Along the way, some fuzzy folk decided they liked the cold and set up camp in Snowdin. This official UNDERTALE hoodie is a fully custom design—everything from the cord pulls to the fabric liner was made especially for it. 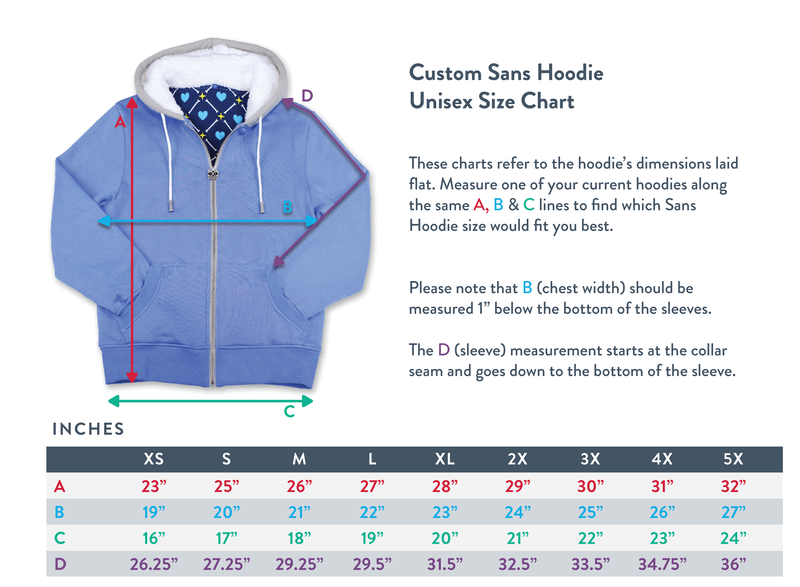 The body of the jacket is 100% cotton, and the interior of the hood is sherpa fleece. The things you can do with a college education!